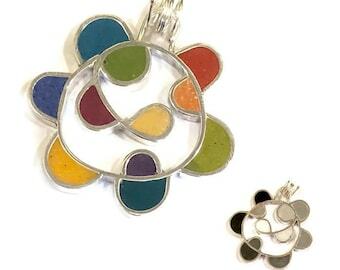 It's reversible, like getting 2 necklaces! This may be the only necklace you need because it goes with everything. 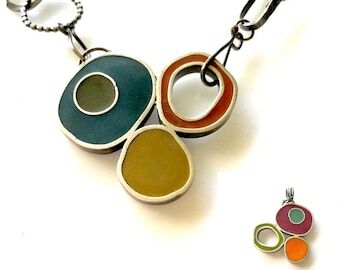 Handmade silver bezels, filled with colorful tinted resin, joined together by big wonky circles. One side has cool (blues, greens, gray) tones; the other side warmer (pumpkin orange, red, plum and purple) tones. The opaque resin was hand tinted with paint and/or pastel dust, giving a little visual texture, and has been sanded to a satin finish. 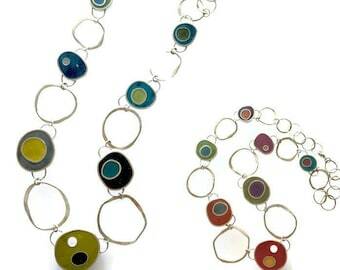 The bezels and links are all hand forged and the links are slightly textured. Length is approximately 21", but can be worn shorter as well. It's finished with a big lobster-claw style clasp that is nice and secure. (If you need it longer or shorter, just let me know!) It is hown with a shiny finish, but can be oxidized for a dark patina if you choose. 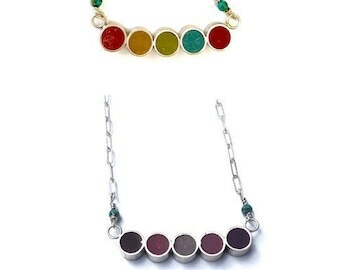 The photos represent the actual piece you will receive, so take a good look. I'm happy to send additional photos if you'd like a closer look or a different angle. 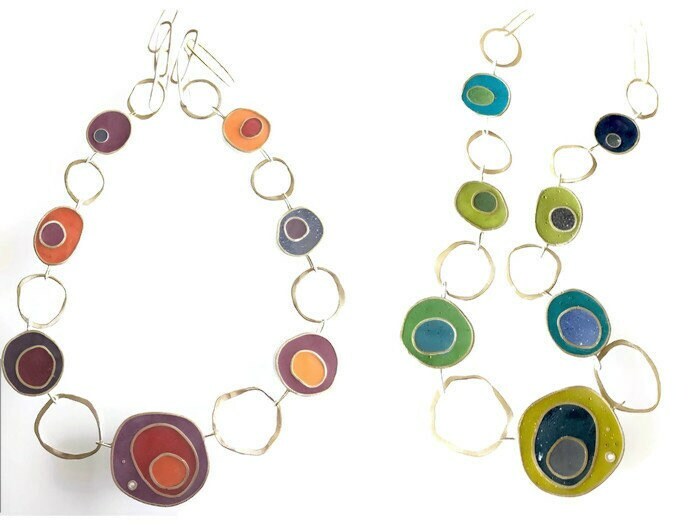 Please keep in mind Baubbly jewelry is intended to be funky and quirky...if it is symmetry and perfection that you seek, this might not be the place for you.